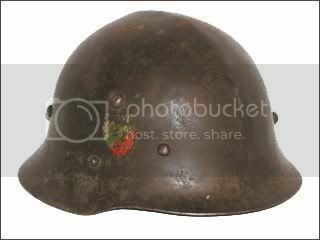 This is the Model 36/A steel helmet with a rolled edge; two vent holes and six rivets. This model was the first type of the Model 36 produced and was manufactured in Brno, Czechoslovakia. This helmet features the tri-color transfer of Bulgaria. 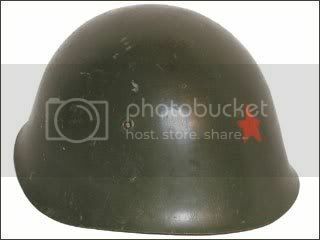 This is the Model 36/C steel helmet with unrolled edge and small crest on dome. 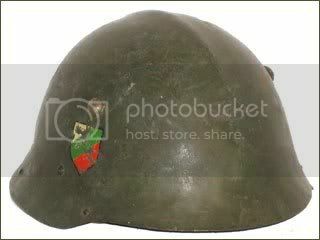 This is one of three patterns of helmets produced for the Bulgarian army before World War II. This particular model was German produced and remained in use until the 1970s. 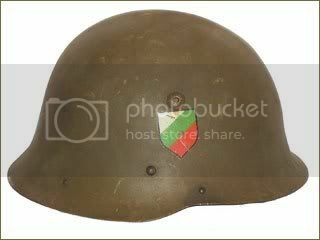 This is the Model 36/C steel helmet with unrolled edge and small crest on dome. This is a variation of the M-36/C with a shorter visor than the standard version. Produced in Germany for the Luftschutz, or air defense, this helmet design is often called the “Gladiator” style. These helmets were supplied to Bulgaria for air and civil defense use. 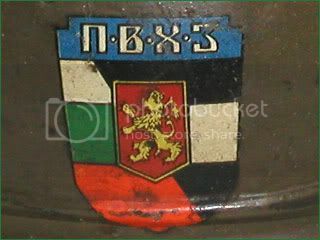 This example features a decal of the Kingdom of Bulgaria. 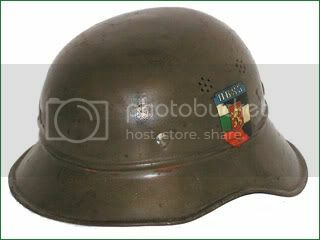 This model features a shape and liner that are almost identical to the Italian Model 1933 helmet, except that it features higher quality steel and leather. This helmets remained in use until the 1990s.